Looking at the current scene of Scientology, I see no one reaching a high level of spiritualistic serenity. I see bankruptcies, torn families, even suicides. People enter Scientology with some idea or hope of more spiritual freedom or serenity. Had it been possible to reach such a state in, let’s say fourteen or eighteen years, I think most would jump at the possibility. But no, in fourteen or eighteen years in the Church of Scientology, you’re most probably sucked dry for both time and money. Hubbard should have torn out whatever hair was left had he seen what the Church of Scientology was accomplishing these days. And I believe he would have recommended that people moved to India for their spiritual progress. That would be quite something. I will take Hubbard’s hint and check it out myself. Besides practicing hug-ology, of course. “They (psychiatry) deepen one’s agreement with the MEST universe. You just tell these people to face reality now. Now I’ll tell you what’s wrong with you, you just have not faced reality. Now you must face the reality of your problem. The day you face the reality of this problem you will then be able – then you will be able at last to be better off. And this fellow goes into apathy and he goes further and further and further. And of course, he goes more and more under control and I am sure that the fee has nothing to do with it whatsoever. …just my guess. Because I believe he didn’t mean for people to fall inside such a loophole. The tape is called (The) Logics, Infinity Value Logic. Anyway, guys, I’m saying this and shutting it again. Do whatever serves you with your spiritual trip. Do SCN or HGY (hugology 😛 ) or whatever works well for you and for others that are connected with you too. I think conflicts between spiritual groups only exist when intentions to dominate exist, and I don’t want to play this game. I would just like people to not spin for a good cause. There is no good cause for spinning. Just determine what you want, and make it happen. I love that tape. Its hillarious. The “father” of “n→infinity”, Hans Reichenbach, if he ever nursed a dark humour, would too, I am sure. Hans was a rock solid empiricist who sought truth through the application of logic to the peer-reviewed observation of results derived from experimentation. In his view, an inductive logic cannot be constructed upon the application of logic alone. It must include measured and independently verified experiences. Werner Heisenberg’s results, especially the uncertainty principle, deeply influenced Hans. 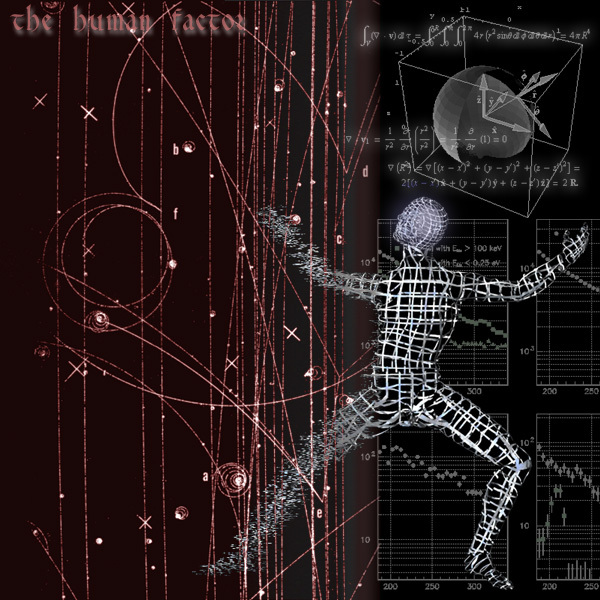 The calling into question of whether or not there really can be truthful propositions defining an exact location and velocity for an object in space and time led, ultimately, to Hans formulating the philisophical basis for much of quantum physics. It still remains true today that anyone who says they understand quantum physics, most likely doesn’t. Perhaps one day humans will be able to measure what they think they are observing and that early principle will become null. Hans wrote a few books, the most popular being The Rise of Scientific Philosophy . Not primarily aimed at mathematicians as such, it presented something of an enty level understanding on the interpretation and application of formal logic rather than the construction of the formal system itself. The book was published in 1951. The next year, as part of the PDC, L Ron Hubbard presented the lecture you refer to. Grab a copy of Hans’ book before you have another listen to the lecture. I’d love to hear what you make of a comparison between the two. Yep, I’m getting the notion that if I would have spend the thirteen years in India (or anywhere else) instead of in the S.O., I could be a bit closer to “spiritualistic serenity” too. Me: So you plan to go meditating fourteen to eighteen years? Do you plan to go to India, or are you going to meditate in some rural area in Norway or just do it comfortably at your home. Al, indirectly expressing your own negative viewpoint is irrelevant to what Geir expressed. Well, I have some low-toned, negative factual information about whether L Ron Hubbard actually would recommend Eastern Philosophy. The fate of Man without processing is measured by the catastrophes of the past. The Buddhist Wheel of Life shows Man how grimly he is tied to a never-improving circle of birth and death. Use such facts. “Now, how the Buddhist, the Lamaist, missed this, I don’t know. But he patently knows nothing about it. The mystery of the East has been exploded. Man, anybody who would be stupid enough to sit still for twenty years and regard his navel so as to exteriorize should have his thetan examined. You don’t have to sit still for twenty years. Get somebody to say to you something on the order of-the first exteriorization process is “Try not to be three feet back of your head.” Whammmm! There they go, you know? Well, Buddhism is accomplished. That was the end of track as far as Buddhism is concerned, and that one little set of English words took care of everything they were trying to hand out. Oh yes, they were also trying to hand out “Peace, peace on you too, brother,” and so forth. They were trying to hand out various other principles, which got into other religions, and we had people being quiet. And the whole subject is devoted to how to keep people quiet. It’s a police operation, a whole track police operation. You’re always getting space jockeys and space-opera people who are sailing in, saying, “Let’s see. How are we going to quiet this down? These people are moving. These people are dangerous. They move. They walk around and they whistle and they sing and they move. And therefore, they’re liable to do things. So the thing we’d better do is introduce some peaceful philosophy of some kind or another that’ll just stop all this tendency toward motion.” That’s a fact. And you get things like Buddhism, Christianity-the quiet philosophies, I call them, toward motion. That’s a fact. “And you say, now, a Clear would always be serene and would never be the effect of anything. You get the idea? You’ve got the Buddhist definition here. And man, that was wrong-end-to. That was an absolute guarantee of plowing somebody in. “Buddhism went its way, collectively, and actually wound up enslaving people. Bum show. The East, the paralysis of the East, the fatalism of the East, and so forth, are as attributable to Buddhism as to any other single item. I don’t know what Gautama Siddhartha said, but I sure know that people have been saying since, “If you just sat and regarded your navel for enough years and did nothing, you would become part of nirvana.” And nirvana, as far as I can figure out, is the GPM. Well, just see a picture of it. It looks like a human being surrounded with a lot of little valences. Nirvana. Look at pic-look at a Buddhist picture of nirvana sometime, and you got the GPM-bang. So, they eventually found out how to put people into the GPM. And all kinds of squirrel, offbeat offshoots like Zen Buddhism, “If you know the answer, I hit you; if you don’t know the answer, I hit you; because force is knowingness and never the twain shall be separated.” Well, isn’t that the way it must be? I don’t know if you’re acquainted with Zen Buddhism, but after you’ve done a tremendous amount of study on the subject, you finally can make up your mind that if you’re hit, you know. That’s the end product. I can show you an Indian rope trick, the small boy going up the pole. I can do it. Hypnotize the lot of you; you’d see most anything. Never did anybody any good. Anybody wants to dramatize Axiom 10, by all means dramatize Axiom 10. But there’s a point where even that catches up with them. Indian rope trick is mass hypnotism. Maybe Geir was being “tongue in cheek” when he said LRH would recommend eastern philosophy. Given what you must have known that LRH said about eastern philosophy, as above, don’t you think this might be a possibility, Marildi? Alanzo, my comment simply referred to LRH’s intentions. Your quotes have nothing to do with that except perhaps as YOU interpret them. As I’ve said before, you and I start of with such different premises that our interpretations are wholly different. But I don’t think you’re actually trying to have a comm cycle with me anyway – you just take every opportunity you can to spew more of your personal propaganda. Btw, I think putting your posts in huge font is kind of cheap and gaudy, although there are probably some people are impressed and swayed by that alone. @Geir: Can’ we please have a level playing field as regards font size? Yes, I see the similarities too :). But I also the differences, especially in tactics. I just used the blockquote tag, that’s all. Unfortunately, in big fonts or small fonts, the negative low-toned facts are still the same. Marildi is bright and intelligent and full of integrity. I mean it, Marildi. I’ve always looked up to your intelligence and your integrity. I was a big Alonzo fan….now after posting this, I am HUGE Alonzo fan. Love this stupid movie!! My favorite was at the “Snow Owl” function…. I’ve laughed at your written dialogue 4 times now. Not even watching the scene, just reading the dialogue. This is an important movie. It deserves to be in AFI’s top 100 comedies of all time. Alanzo, love the positive message. Laughing long, that was funny! That clip from Dumb and Dumber is a really positive take on life. I didn’t quite qet Marildi’s view that it was in any way negative. I wasn’t saying the video was negative. It was the fact that Alanzo posted it as a reply to my comment about a positive viewpoint of Hubbard’s intentions. He was basically saying, through the video, that there was one chance in a million for that. It was his negative viewpoint I was referring to. Hey Gier, would you say certainty of your immortality is the best thing you got from Scn? This issue takes up a lot of attention units for many Westerners. It sometimes seems you underplay it a little..
What would you have to say about certainty of immortality after doing the whole Bridge. Gier? I got certainty of my spirituality very early on in Scientology – when I went exterior with full perceptions. So the ability was/is there. There must have happened something, that prevented you from keeping the ability permanently. What was the process you were doing then? ‘be-ing exterior with full perception’. That, which triggered the ‘go’ (as in ‘went’ exterior) is the ‘item’.That ‘item’ has to be fully processed, confronted before another auditing question or command is given. So that the ‘ability’ would be stably ‘there’. Am I right in that? I would be interested in your answer. ‘Freedom from past’. What exactly do you mean by this? Can it be freedom from the CHARGE involved in the past? What else? My experience is that Scientology is not delivered and has not been delivered in these past 20 and more years. Objectives incomplete, TR’s incomplete, grades incomplete and so on … there were only “completions” incomplete. Lately the only change of F/N definition destroyed all auditing, plus D.M. started heavy suppression with the “ethics” used to control and have obedient parishoners. I got in touch with a very good auditor (trained in the 70’s by people trained directly by Ron) and I discovered tha even if I was OTVII, I was and have been for long time OUT INT (on OTVII) and obviously OUT LIST (for all the wrong Church indications). So I started to correct what I knew was incomplete and really completed Objectives (received 20 years ago by untrained students) an now I will start to really complete TR’s and I see that this alone will restore serenity completely. I already had plenty of results and I know that Scientology works, not the Church which is there for other reasons than our fredom. I think you have been sold a bill of goods. All those case manifestations that you just listed there do not actually exist. What if they are nothing but mocked up parts of you hubbard-installed Scientology case? What do YOU truly have to benefit in having someone “run these out” for you? OKay – after thinking more about this, if you believe that this is the way for you to achieve happiness and “freedom”, and you are not going to harm anybody else like the Church does, and you do not use Scientology to enslave others, to bankrupt others, or to implant suggestions in them like “you will not succeed or be happy until you are “Clear” and “OT”, then it does not matter that these are mocked up “case” manifestations from the writings and lectures of L Ron Hubbard. Didn’t do the OT levels but somehow it makes sense to me what you write. I just ‘feel’ it that you can handle it. Cycles have to be finished and can be. Wish you success! ‘..now I will start to really complete TR’s and I see that this alone will restore serenity completely..’ Great, just great job! on any of them. If I did, like you, I would surely go back and finish to true EP. I mentioned this about myself because somehow felt that this was the proper thing to do. Once the decision is made, it’s already done. The travel is only the travel of the body. However, a journey is a natural part of losing a part of one’s illusionary self. How the rest of the loss is happening can be in different ways. Not necessarily like this but can surely be exciting for some time…..and all is done out of compassion….with the wisdom and care of those who know….. I think this is a good attitude and kind of a milestone for you. Live and let live. Good job, hug (from a distance, anyway). Air kisses to you too, Val. aotc, I agree – great video. I actually posted the same one just a couple days ago on a previous thread, but it fits even better with this OP. And readers who don’t have too much time only need to watch less than 10 minutes of it, starting at about 1:24:30, to hear Tom Campbell sum up how Eastern philosophy and Western science have fully met – through actual scientific evidence of the wisdom of the ancients. Geir, I like the new look of the blog, so much more than the previous ones. But it was convenient to be able to see the latest messages on the right side of the blog too. I really like what you’ve done to the place! Like! Don’t forget about the closest one – yourself! I like change, nice! Gier’s blog does not get stale for sure. Not only convenient, it makes communication exchanges faster. It looks like I am in minority as I don’t like the darkness of the background. Your photo is perfect. Agree with Marildi – like seeing the real you! Good news: you are right in the background colour – I can be comfortable with it!